Are these cables really flexible for tight bends in connecting components that are tightly adjacent? BEST ANSWER: I have two of these and they are stiff... the tightest loop I can do is 1/2" bend radius. I feel like this is an extreme bend as I zip-tied the loop to keep the loop and meet a distance requirement. You can comfortably do a 1" bend radius without an issue. Since the plugs are so short, they still take up less space than the large Belkin connectors. They are excellent HDMI cords...totally worth the price. Tight as in 3" diameter loops? Yes. I have an AppleTV device next to a Roku device, then stacked right on top of those, a Monoprice 2-in 1-out HDMI switch. 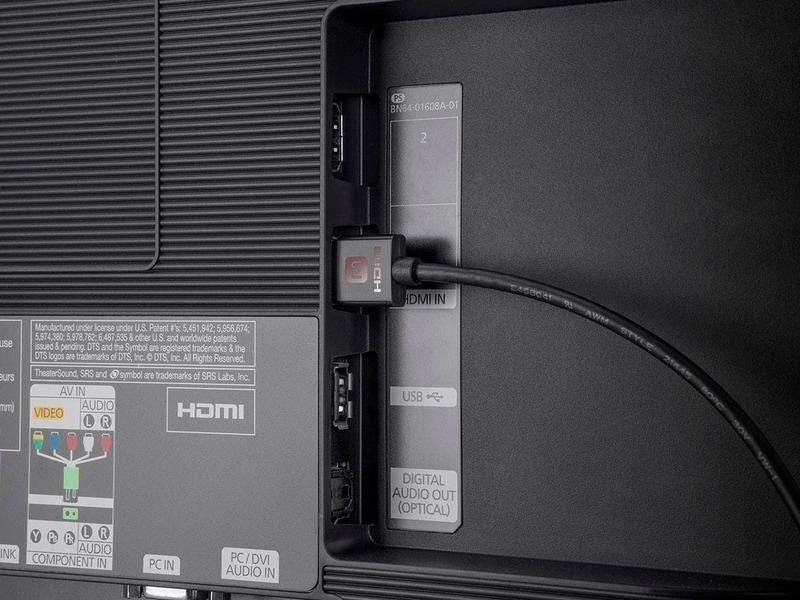 These little cables are perfect for looping up from the Apple & Roku devices to the switch right there on top of them. I wouldn't crimp the cables though or super tight loops less than 2" diameter. These are about as good as you will get. I measured them and the cable can bend 90 degrees in less than 1/2 inch. Thickness of the connector itself is about 5/16 inch. Yes it is. Its got thin insulation. The slimmest cables you can buy. Can't go wrong with these. And they are high speed to boot!!! Used these to replace a set of high end (expensive) cables to clean up entertainment cabinet. Worked great, reasonably priced and timely delivery. Would purchase again and recommend to others. This is a great product for the installer. The cables are the right length and are of high quality construction. They were delivered on time and packaged very well. Arrived on time. Great product, just what I needed. Great Price. Best Choice for HDMI cables. These are excellent cables that make working with HDMI cables much easier then the older bulky cables. 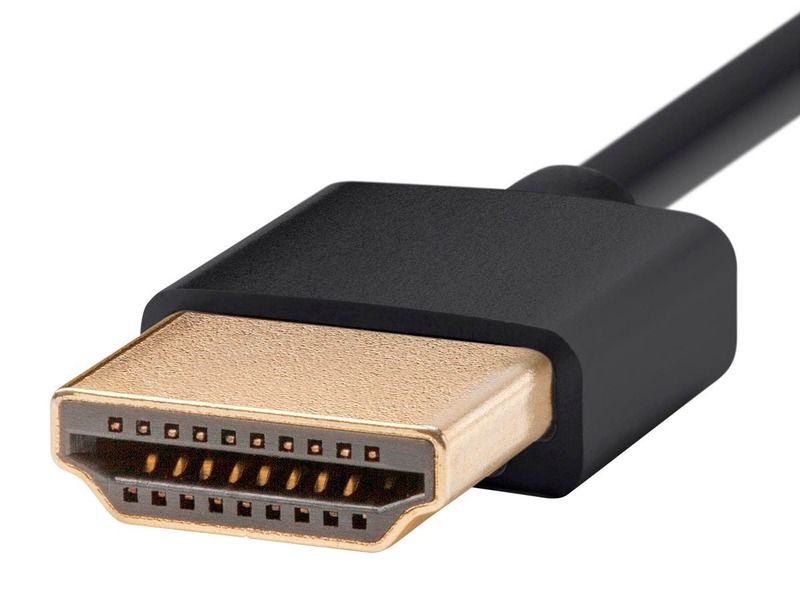 The perfect AWG size for smaller HDMI components. 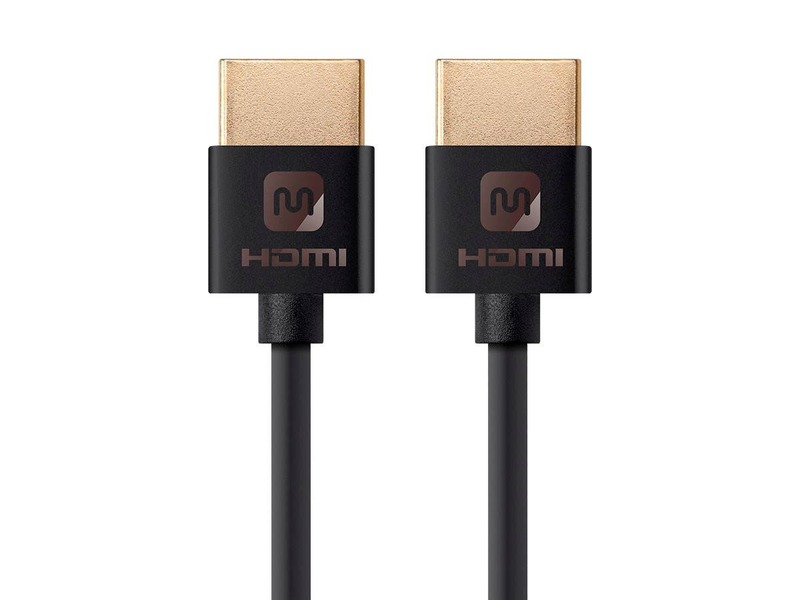 A regular size HDMI cable tend to be over powering and physically move the smaller device. 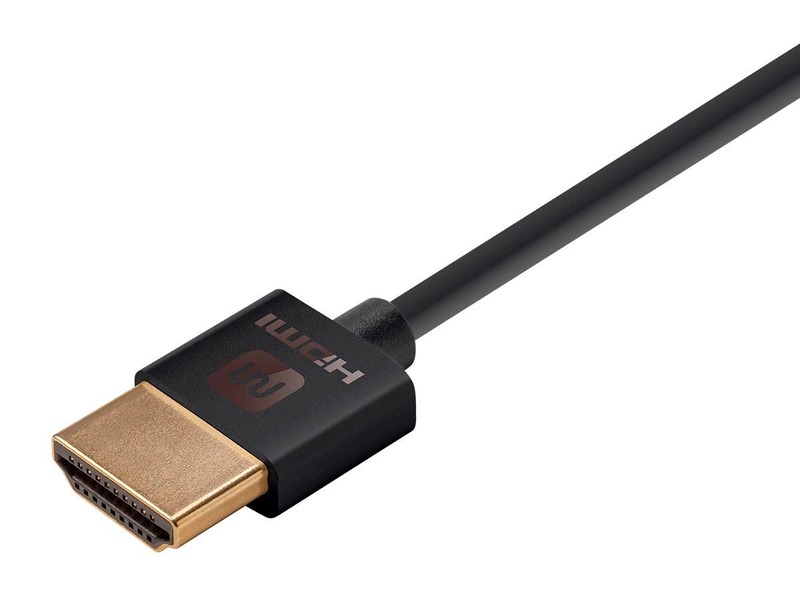 Where as the smaller and lighter Ultra Slim series HDMI cable do not effect the smaller device. Great cable, perfect length, thin and very flexible, will buy these when I need more. I bought them specifically for something and then used them for something else, so now I need more!